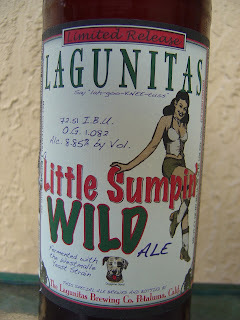 This afternoon I'm drinking A Little Sumpin' Wild Ale brewed by Lagunitas Brewing Company in Petaluma, California. This is a limited release beer fermented with the Westmalle Yeast strain. As usual, the label is very playful starting with a red and green Christmas-colored label over a white background; oh, and a hot little Santa's elf vixen! There is a story on the side from the yeast's point of view, basically commenting on what it can do for this beer. 72.51 IBUs (906.375 Maries) and 8.85% alcohol. 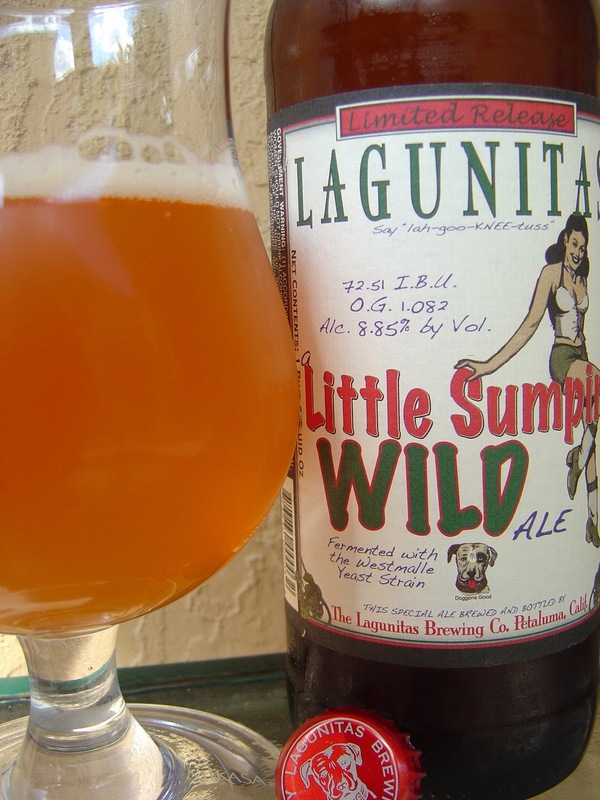 Citrus and pine, orange and spicy, grass and hoppy aroma, all mixed with a definite Belgian yeast component. Fruity, floral flavors are also right there from the beginning. Orange and tangerine sweet plus a bit of grapefruit bite. Those flavors turn even more tropical as the beer warms. There is also plenty of pine and spicy black pepper to back up and balance the initial sweet. The Belgian yeast provides barely a light mustiness at the beginning and is very much in the background. However, after a few sips of big 22, the prominence builds until the funk is very much as the front. Creamy smooth with very good carbonation. This beer is the offspring of an IPA and a Saison, a funky double IPA. The yeast and black pepper hoppy spice complement each other terrifically. No giant bitterness to be found. I didn't feel the alcohol either, very nicely incorporated. Excellent beer and for the $5 price even moreso. You should go buy a few now! Hey Mike. $5 at Total Wine. 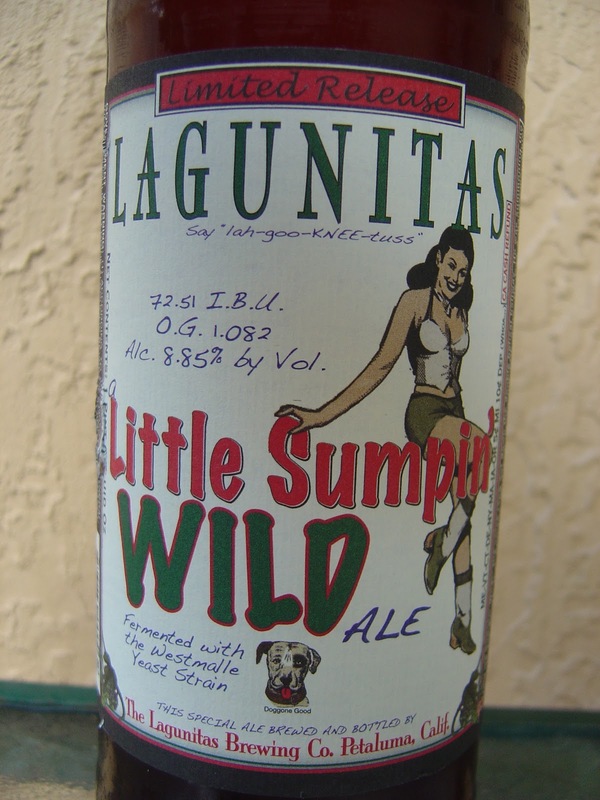 Lots of other similarly-sized beers are 6 or 8 or 12 dollars. Great value!